If you are interested in making beautiful custom data visualizations for the web, D3 and SVGs work great together. Both SVGs and D3 support interactivity and animation, offering a ton of flexibility to create unique interactive applications. 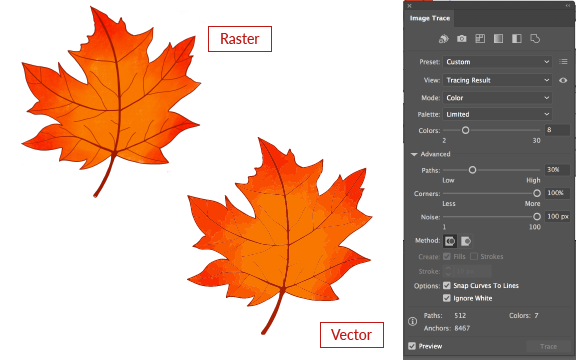 and prepare raster drawings from Procreate using Adobe Illustrator. apps. 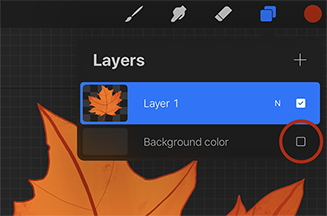 Plus, compared to most desktop applications, Procreate is inexpensive. 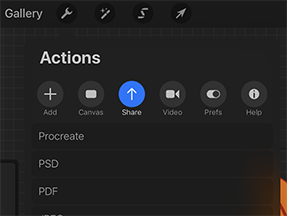 The app store has more details on some of the specific tools Procreate offers. is not required, but it will make integration with code much easier and help optimize web performance. 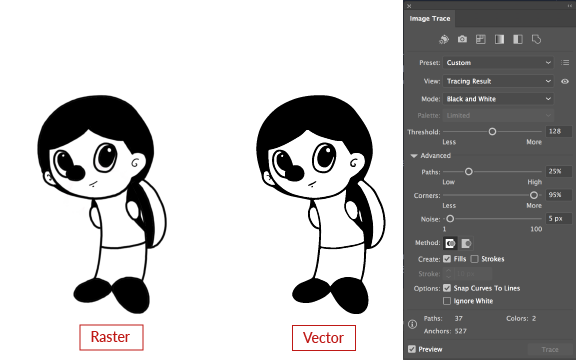 I started with a raster drawing from Procreate that did not allow for easy animation and manipulation (left) and ended with an organized SVG with easy to manage shapes (right). Note 1: SVGs are really only needed in instances when you want to modify individual layers inside the artwork. JPGs or PNGs will work for basic interactivity. 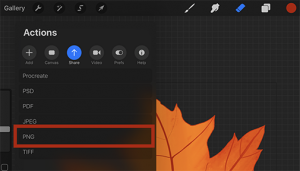 Note 2: If you would rather keep your workflow on the iPad, consider using Affinity Designer. I won’t cover instructions here, but it is an excellent vector program on the iPad at a similar price point as Procreate. 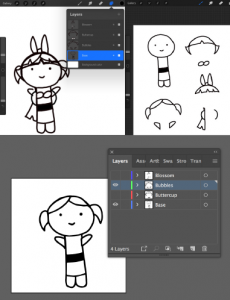 Note 3: Readers looking for a free alternative to Illustrator may want to look at Inkscape. 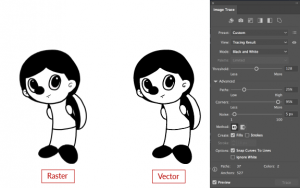 Inkscape has a bitmap tracing tool that is similar to Illustrator’s image trace. 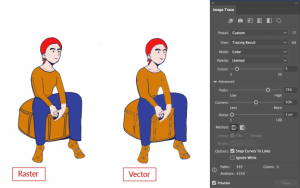 The first thing you’ll need to know is how to prepare your drawing for Illustrator. Plan ahead: As with any animated or interactive graphic, think about what you want to modify before you begin drawing. 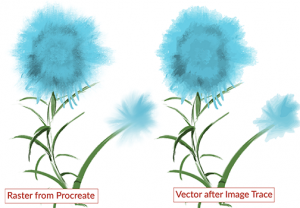 Separate shapes using color: When you use image trace, connected shapes of the same color will be merged into one large shape. Avoid using fills that are the same color as your outline and leave space between your shapes. I want to change the pants color with D3 so I should give the pants a different fill from the outline. Use unique colors for unique shapes: This will make grouping easier later. 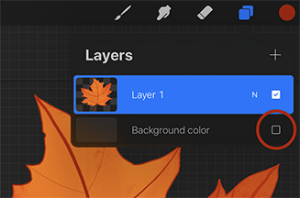 You can always change the colors back once shapes have been separated onto their own layers. 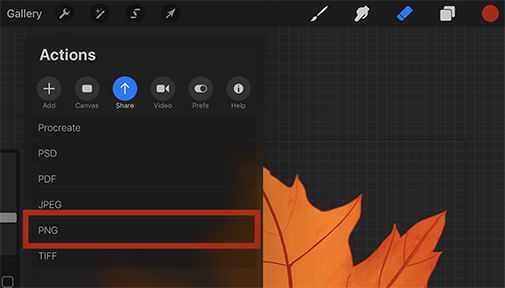 Create enclosed shapes for easier editing: Using enclosed shapes will make it easier to apply fill colors once your image is vectorized. to different parts of the canvas (without resizing) and save. I want to change the characters’ arms and hairstyles. I can draw the different hairstyles on their own layer in Procreate (top), then either save each layer separately or keep everything in one file by dragging them to different parts of the canvas. 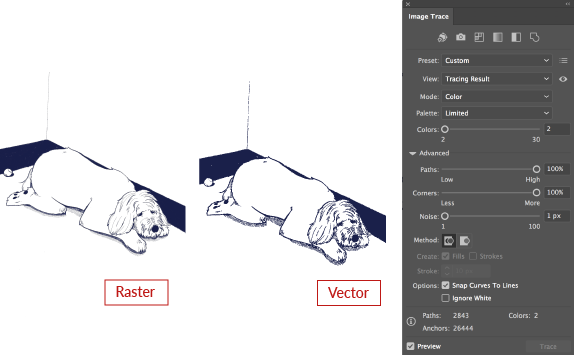 The layers can be joined back together in Illustrator (bottom). Clean up your drawing: The fewer extraneous strokes, paths, or pixels, the better the trace. 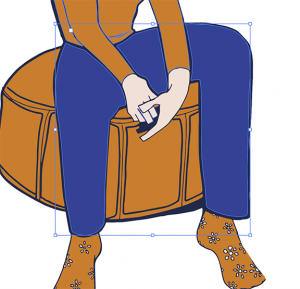 Clean, smooth outlines will almost always produce smaller files than rough, sketchy lines. 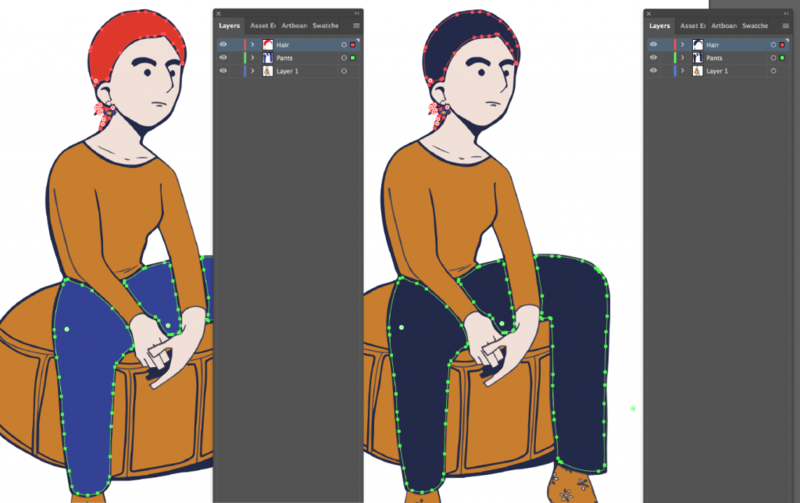 Once you’ve finished drawing, follow these steps to save your file and send it to Illustrator. The goal here is to produce the smallest file size that still resembles the original artwork. Download the PNG and open or place it in an Illustrator file. 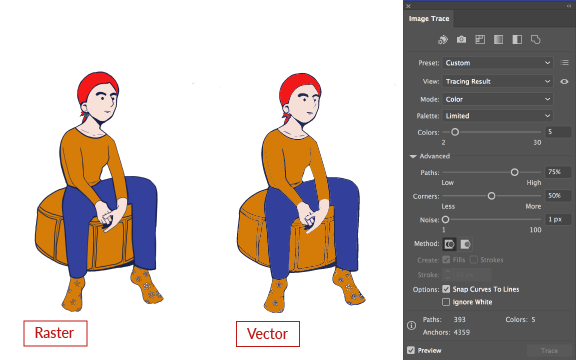 Turn on the image trace panel (window > image trace). 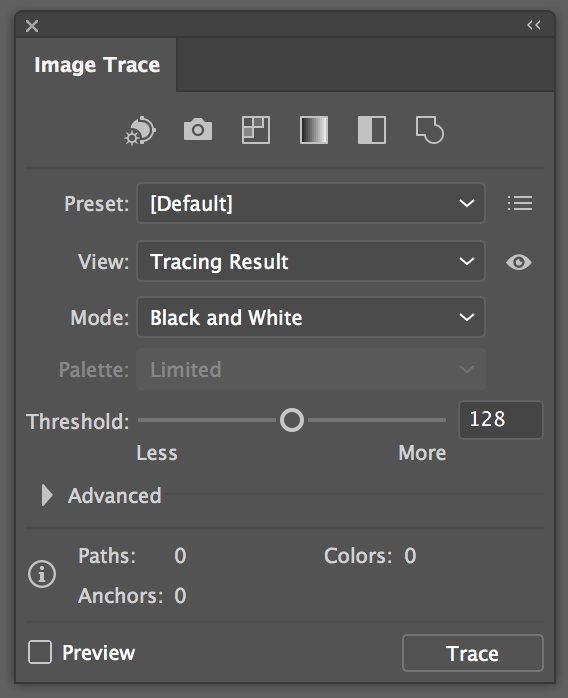 Threshold: specifies a value for generating a black and white tracing result from the original image. All pixels lighter than the threshold value become white; all pixels darker than the threshold value are converted to black. Palette: specifies a palette for generating a color or grayscale tracing result. The more colors you use, the larger the file will be. Paths: Selecting a low value will make the paths fit looser to the original shape, resulting in fewer anchor points. A high value will make the path fit tighter to the original shape, resulting in more anchor points. Corners: A higher value will add more sharp corners, a lower value will create more smooth curves. and a more detailed trace. If you’re interested in learning more about these settings, Adobe has details here. Every project is different, and the settings you choose will vary depending on your needs. I came up with a few approximate guidelines for different types of drawings, but you will likely need to adjust. 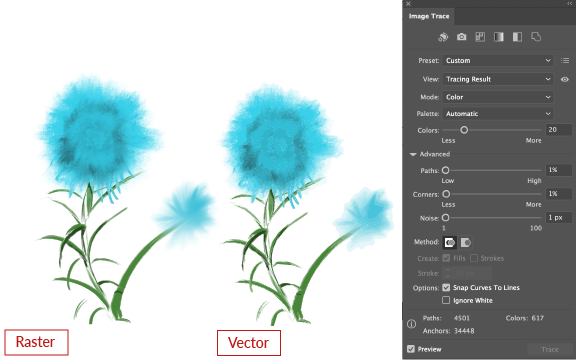 Check the preview box to get a live look at your image in vector format. Since preview will slow down rendering time, follow these guidelines first and then tweak your settings with preview selected. 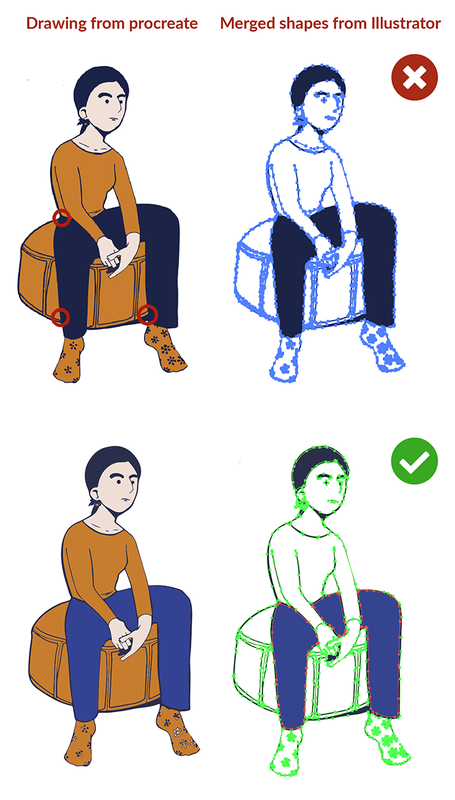 Note: It is okay to have detailed illustrations in your application, but be mindful about when these types of drawings will be appropriate. Limit the amount of images that are over 300KB in your application. You may need to clean up your file to reduce the size and make it more manageable. Press expand to convert the tracing object to paths. 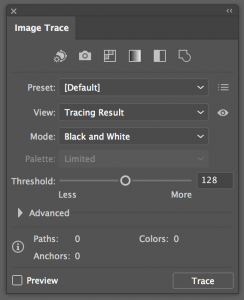 Make sure you are satisfied with your tracing result as you won’t be able to change your settings after this step. When the paths are expanded they will initially be grouped together. Use Cmd/Ctrl + Shift + G to ungroup so you can edit the shapes. with the direct selection tool. Using the selection and direction selection tools, target extraneous paths to delete them. 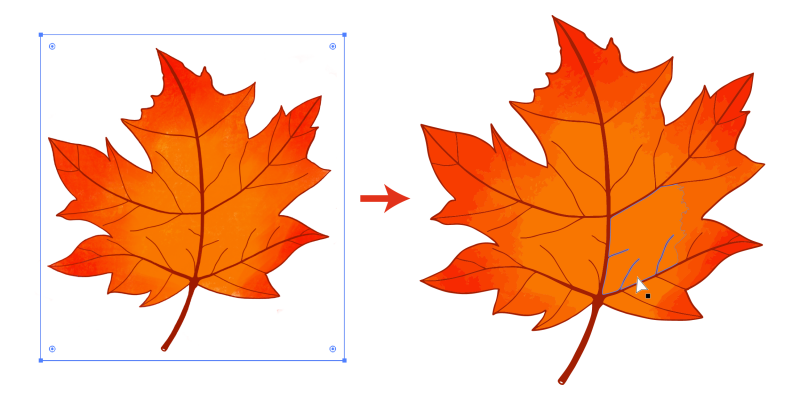 shapes (cmd/ctrl + C), delete them from the old layer, and paste in place (cmd/ctrl + shift + v) on a new layer. Repeat this step on a new layer for every shape you want to modify. Use the direct selection tool to target one shape, then select > same > fill color to target all of the same color shapes. For every group, there will be an additional 2 lines of SVG code. Focus on organizing the parts of your graphic that will be modified and leave static layers alone. You can save yourself a lot of future work by choosing the right settings. are comfortable doing so, open your file in a text editor. I use Atom, but use whatever works for you. This is different from the namespace, which looks something like xmlns="http://www.w3.org/2000/svg". The namespace should be kept as is. You may decide to keep the title for accessibility purposes. If so, you should provide a better title than the one given by Illustrator (which will just be the file name). the <defs> tag however, although you may want to name them something more useful than what is the default. We’ve made it through one of the most difficult parts of creating interactive graphics (in my opinion)! Now that you have designed, exported, and optimized your svg for the web, it can be imported with D3 and we can begin adding animations and interactivity!